Y mae gwaith Grahame Davies wedi ei gynnwys mewn cyhoeddiad newydd yng nghyfres adnabyddus Everyman Library Pocket Poets. 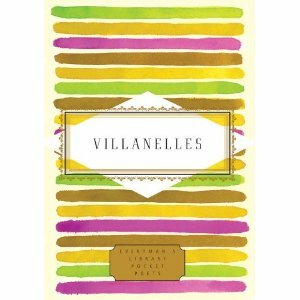 Y casgliad Villanelles (Random House, 2012) £9.99, wedi ei olygu gan Annie Finch a Marie-Elizabeth Mali, a chyda rhagymadrodd gan Julie Kane, yw'r flodeugerdd gyntaf i gael ei neilltuo i ffurf y villanelle. "With its intricate rhyme scheme and dance-like pattern of repeating lines, its marriage of recurrence and surprise, the villanelle is a form that has fascinated poets since its introduction almost two centuries ago. Many well-known poets in the past have tried their hands at the villanelle, and the form is enjoying a revival among poets writing today. "The poems collected here range from the classic villanelles of the nineteenth century to such famous and memorable examples as Dylan Thomas's "Do not go gentle into that good night," Elizabeth Bishop's "One Art," and Sylvia Plath's "Mad Girl's Love Song." "Here too are the cutting-edge works of contemporary poets, including Sherman Alexie, Lorna Dee Cervantes, Rita Dove, Seamus Heaney, Paul Muldoon, and many others whose poems demonstrate the dazzling variety that can be found within the parameters of a single, strict form." Mae'r casgliad yn cynnwys y fersiwn Saesneg o gerdd Grahame Davies,'Grey', a gyfansoddwyd yn wreiddiol yn Gymraeg a Saesneg i nodi gosod carreg sylfaen Canolfan Mileniwm Cymru yng Nghaerdydd yn 2003, ac a osodwyd i gerddoriaeth gan Karl Jenkins i nodi agor y ganolfan yn 2004.